Tonys Photos: Prepare for Summer Outings! As a cold, wet winter makes way for sunny spring days (at least in much of the Northren Hemisphere), we can start to look forward to summer holidays and days out, whether it be a couple of weeks on the beach, or simple picnics on a weekend afternoon. Now then is the time to start planning for the accessories we need to help make those trips something special. Stand out from the crowd with our lifestyle and beach accessories which can be supplied in matching or themed designs. We provide medium, large and even round beach towels, tote bags in 3 sizes and extra large weekender tote bags, to help transport everything to the beach, as well as carry-all pouches, again in three sizes, to help carry your valuables. We can also supply i-phone and Galaxy cases to help protect your phones, as well as portable battery chargers for your phone or tablet, to help you stay in touch on even those longer days out. Below are samples of our products, all of which are available in over 1,000 different designs for you to chose from. Our round beach towels are 60" in diameter and made from ultra-soft plush microfiber with a 100% cotton back. Our standard beach towels are provided in two sizes, 32" x 64" and 37" x 74". Our tote bags are made from soft, durable, poly-poplin fabric and include a 1" black strap for easy carrying over your shoulder. All seams are double stitched for added durability. Each tote bag is machine-washable in cold water and is printed with the same image on both sides. They are available in three sizes, 13" x 13", 16" x 16" and 18" x 18". Our weekender tote bags are chic and perfect for a day out on the town, a staycation or a weekend get away. The tote is crafted from soft, durable, poly-poplin fabric and all seams are double stitched for added durability. The 1" thick cotton handles are perfect for carrying the bag by hand or over your shoulder. This is a must have for the summer! Dress it up, or dress it down, oruse it to stay organised while you are on the go. Our carry-all puches can do it all. thye are crafted with 100% poly-poplin fabric, double stitchad at the seams for extra durability, and include a durable metal zipper for securing your valuables. They are available in three sizes:- 6" x 4", 9.5" x 6", 12.5" x 8.5" and there are two bottom styles to chose from, regular and t-bottom. Our phone cases are available for the i-phone 5 up to the i-phone X or the Galaxy phone from the S4 to the S8. The image is printed directly onto the impact-resistant, slim-profile, hard-shell case and wrapped around the edges for a beautiful presentation. Simply snap the case onto your phone for instant protection, while maintaining full access to all the phones features. You'll never run out of power again! If the battery on your smartphone or tablet is running low...no problem. Just plug your deviced into the USB port on the top of this portable battery charger and then continue to use your device while it gets re-charged. With a recharge capacity of 7800 mAh, this charger will give you two full recharges of your smartphone or recharge your tablet to 75% of its capacity. When the charger runs out of power, simply plug it in to the wall using the cable supplied and it will recharge itself for its next use. 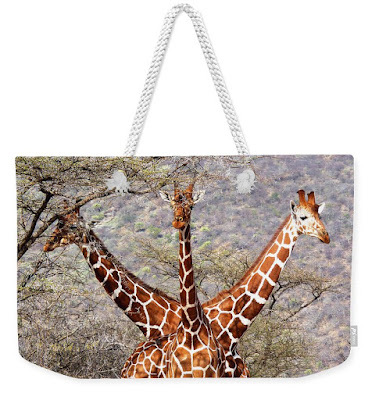 So if you want to stand out from the crowd, get over to our site and start putting together your own collection of lifestyle and beach accessories - PS - we also offer a full range of Wall Art and Home Decor.